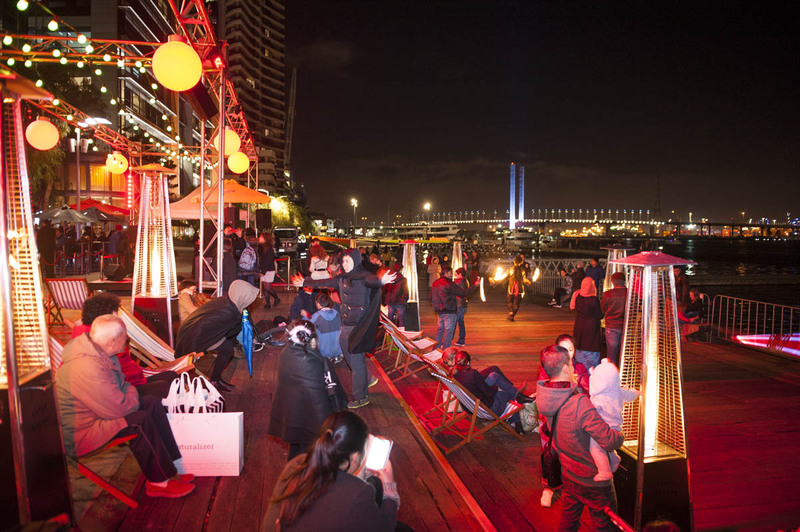 Instinct was charged with creating an activation precinct at Victoria Harbour Docklands for Lend Lease to coincide with a month long winter festival program. 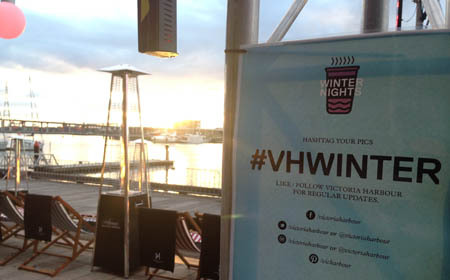 Running over four consecutive Friday nights the #VHWINTER program aimed to promote the Victoria Harbour region to local residents, tourists and Melbournians in general and offer support for the local retailers and restaurants. 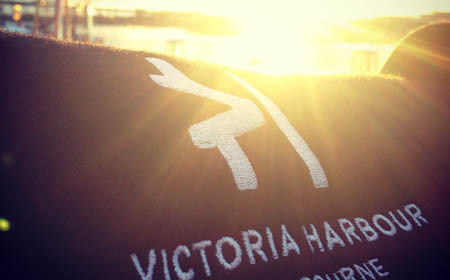 The location in Victoria Harbour had many limitations. A long and narrow event site meant allowances for emergency vehicle access had to be maintained. 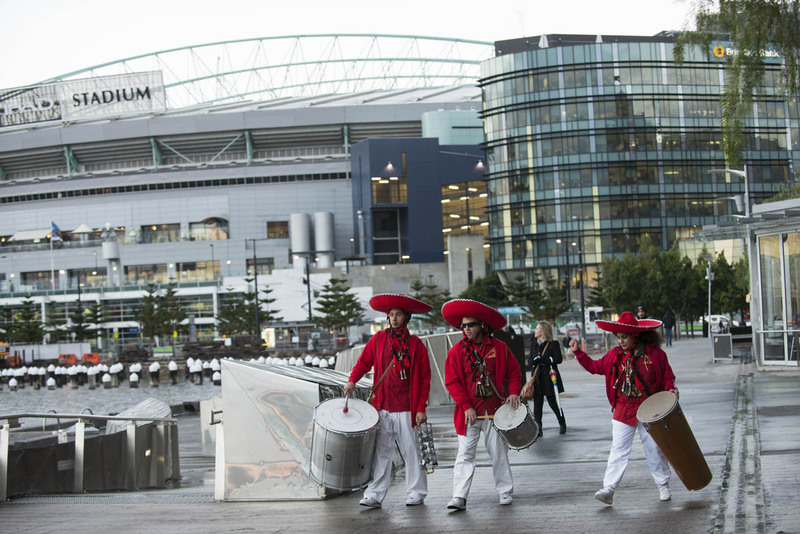 Further, the nature of the event (over four consecutive Fridays), meant the structure itself had to be built and packed down 4 times over the 4 weeks, based on City of Melbourne planning permits. Working in collaboration with the Lend Lease Marketing & Development team, Instinct designed a purpose built installation that provided the perfect setting for locals and visitors to enjoy the waterfront eateries, a range of entertainment and the nightly fireworks display. 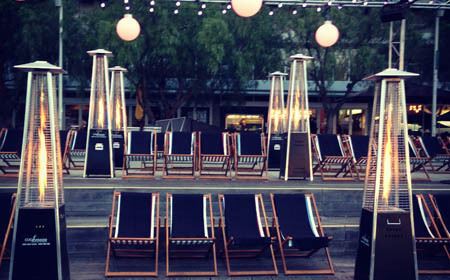 The installation featured festive lighting, an entertainment stage, outdoor seating and heating. Each Friday, regardless of the weather, Instinct provided a range of DJ based live bands and roaming acts including fire twirlers, percussionists and glow performers. Instinct’s role involved designing the entire site, managing all site and safety logistics, programming all the performers, and stage management of the acts each night.